this is my LAST pumpkin design of the season !! but I just couldn't resist a Wool Applique Pumpkin ! what's better than a wooly good orange pumpkin ?? a wooly good white pumpkin ! 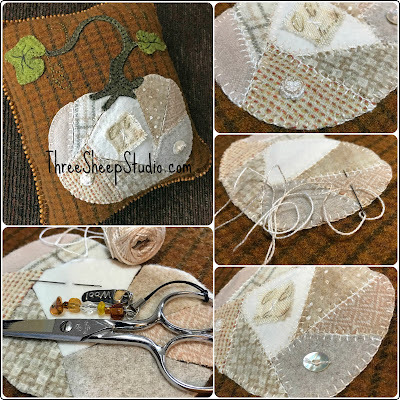 wool applique pattern is in my Studio. Design measures 6in. x 5in. in any color that strikes your fancy. how about a bluish green one ? buttons or beads of your choice. 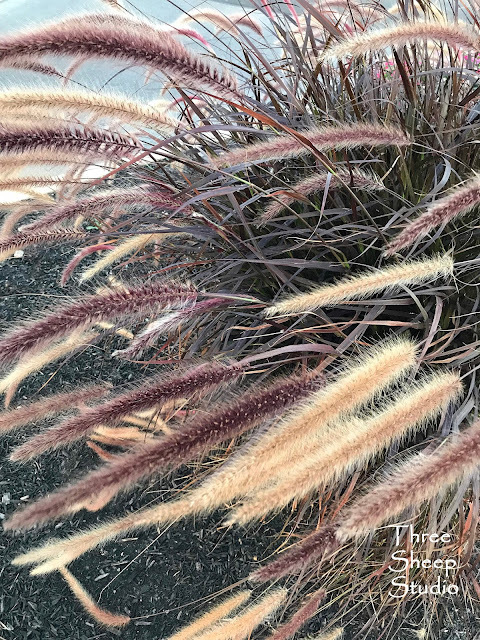 extra soft ornamental grass. LOVING these colors ! 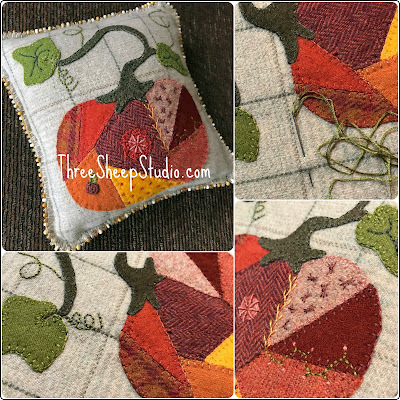 Beautiful crazy quilt pumpkins, always torn between the traditional orange or white, now there's my bluish green ones, oh my. Love the grass head colors, nature gives us so much inspiration. I'm partial to the white pumpkin!!! I love your pumpkins! They are so pretty. Any pumpkin is a good pumpkin.